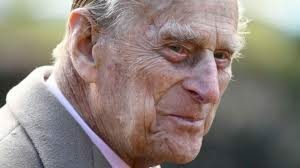 Had HRH The Duke of Edinburgh, ‘phoned us last week about his total hip replacement, we would have been delighted to help him recover from his operation. His choice of timing, as always, is impeccable, as 6 weeks is an optimum time for recovery from a hip replacement operation and to aim to be off any walking aid – so important for any upcoming big event. The principal aims for doing a hip replacement are to alleviate hip joint pain and restore mobility. Some 35,000 hip replacements are done in the UK annually. We probably all know someone who is walking around with a new hip joint. Recognisable signs of a worn-out hip joint are gradually increasing difficulty and pain during practical daily activities, such as bending, sitting to standing and climbing stairs. The person may start walking with their hands behind their back, to help support themselves and to ease the pain. Family and friends notice that the person is becoming less eager to mobilise and to socialise. The sufferer can find that one trouser leg seems to be getting longer and they can’t stand for long periods of time without hip pain. A painful hip can really affect a person’s mood. Hip replacement replaces the diseased joint with a lovely new, smooth man-made joint. The operation itself takes between 60-90 minutes. The all-important physiotherapy treatment starts from day one post-op. The patient is mobilised using a walking aid and will commence a regime of progressed exercises. All these exercises are for strength, balance, flexibility and to boost confidence.Stairs are practised before going home. Once home, physiotherapy should continue and will help to support and encourage the return to all the usual activities around ordinary daily living. The input from the physiotherapist is crucial in these early days for the long-term success of the patient’s full recovery. Our team here at Fairhand Visiting Physiotherapists are very experienced and qualified in all aspects of hip joint replacement therapy.And we do have a very helpful booklet. All those steps at St George’s Chapel should now be a pain-free experience for the Duke, who should be all smiles for those family wedding pictures in six weeks’ time. So, if you are watching the royal wedding, don’t forget to shout, Hip, Hip, Hooray! His new hip should last for at least 15 years.